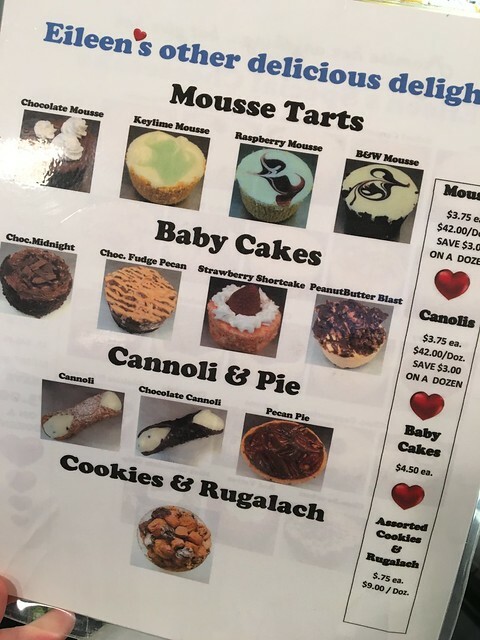 I've always seen "New York" style cheesecake on menus. What does that mean? Apparently it means a cheesecake that relies upon heavy cream or sour cream. It is rich and has a dense, smooth and creamy consistency. 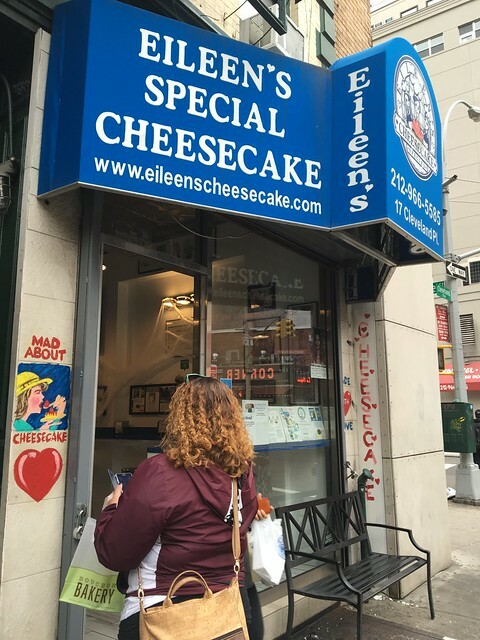 After a bit of searching, Eileen's Special Cheesecake came up as a popular spot for cheesecake in the city. 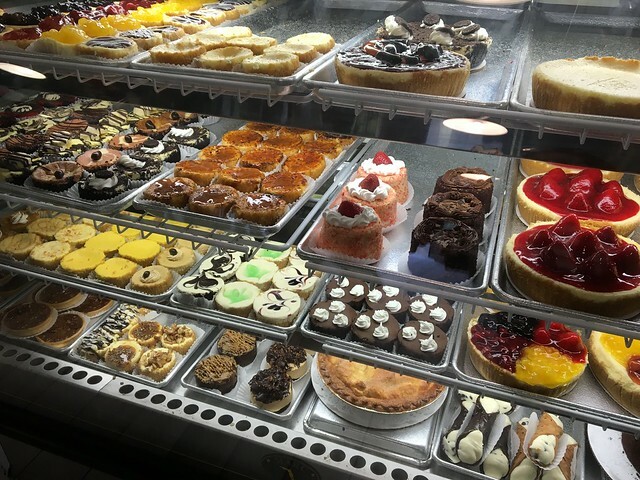 There are so many delicious goodies to choose from. 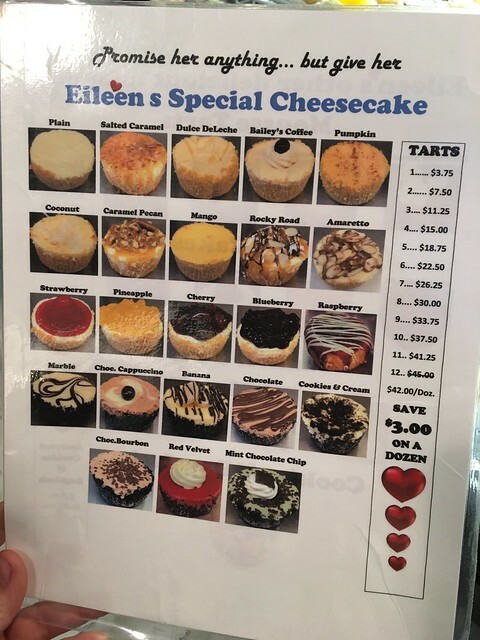 They have mini cheesecake tarts, which looked amazing. 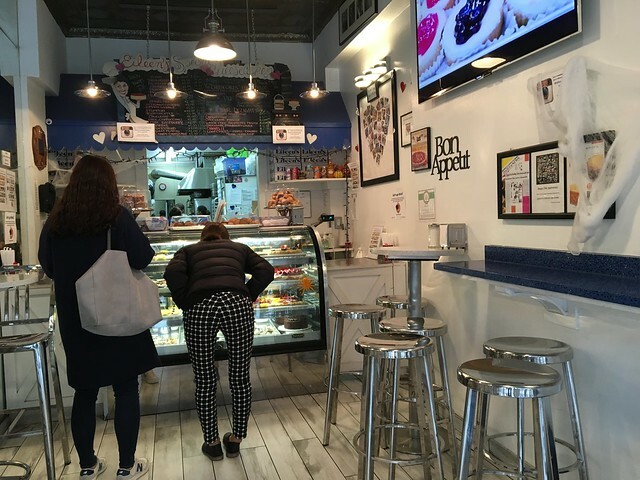 I got a strawberry cheesecake and pulled up a seat at a table. 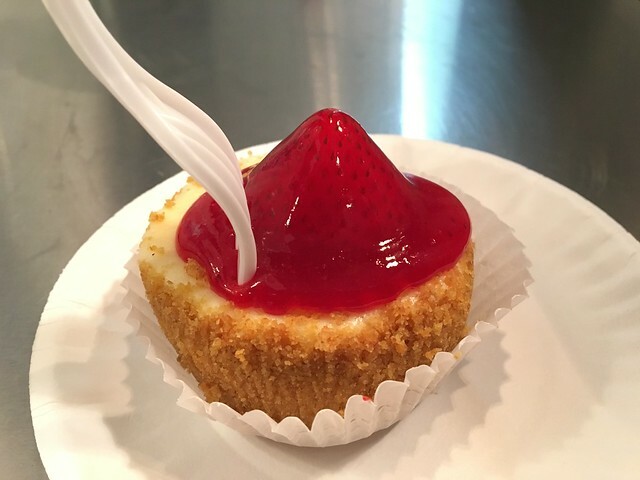 The cheesecake was delicious! It was creamy, a perfect texture - not too solid, or too creamy - but a nice mix of the two. It was rich, decadent. Delicious.